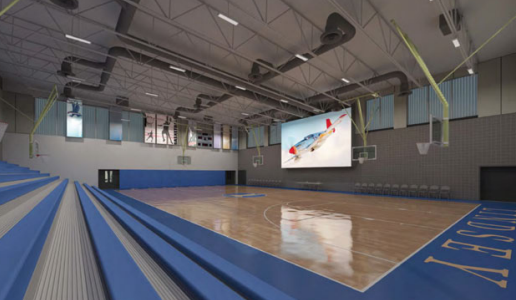 This project includes the construction of a 14,000 square feet gymnasium with locker/changing rooms, coach's office and restrooms, as well as a 330-foot long soccer field. The gymnasium entry features a legacy courtyard with Japanese maples, whose red leaves will serve as a reminder of the heroism of the school's namesake, Perry Lindsey, a member of the Tuskegee Airmen. Known for their fighter planes' "red tails", this group of African American U.S. Army Air Corps pilots were among the most decorated in World War II. 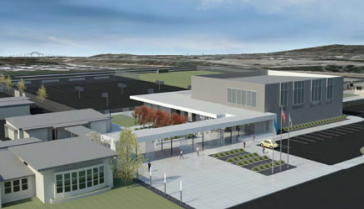 The project also includes parking lot and street improvements and a new student drop-off area.